Shawn Coates has been appointed to serve the College of Southern Maryland as trustee, effective July 1, 2018, through 2023. Mr. Coates replaces Trustee Emeritus Dorothea Smith, whose term expired June 30. A senior leader in the federal government with more than 15 years of experience, Mr. Coates is currently serving as chief of staff for Mission Integration having served in management roles at numerous government agencies. 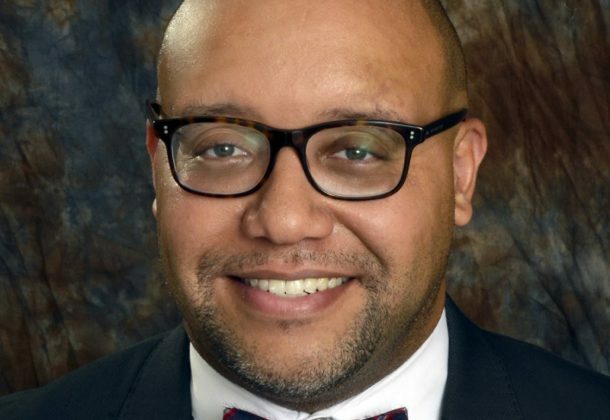 Mr. Coates, a resident of White Plains, serves as the scholarship chairman for Morgan State University Southern Maryland alumni chapter, is a member of the Kappa Alpha Psi Fraternity, and participates with the Black Executive Exchange Program. A frequent speaker on topics of diversity, hiring, development, and retention, Mr. Coates has presented at the Blacks in Government Conference and served as a panelist for the Thurgood Marshall College Fund Scholarship Conference. He is involved with Beta Alpha Psi Honor Society, National Society of Black Engineers, Golden Key International Honor Society, National Black MBA Association, Blacks in Government Association, and African American Federal Executive Association. Mr. Coates is an alumna of Maurice J. McDonough High School in Pomfret. He received master’s degrees in business administration and information science from North Carolina Central University, and a bachelor’s degree in information sciences and systems from Morgan State University. Additionally he was a graduate and senior fellow in the Excellence in Government Fellows Program, Partnership for Public Service, and he received an executive certificate with a concentration in public leadership from the John F. Kennedy School of Government at Harvard University. CSM’s Board of Trustees is the governing body providing leadership and oversight of the college’s mission and policies. Members are appointed by the governor for five-year terms. The board consists of nine members, with Calvert, Charles, and St. Mary’s counties equally represented. The chair and vice chair are selected by the trustees among themselves annually. CSM’s trustees in addition to Mr. Coates are Margaret C. Dunkle, Samuel C. Jones, and Jay W. Webster of Calvert County; James Di Misa and Lois E. DiNatale of Charles County; and Bradley O. Bates, Theodore L. Harwood, and Dr. John W. Roache of St. Mary’s County. Serving as secretary/treasurer to the board is CSM President Dr. Maureen Murphy. For information about the college’s leadership, visit the college’s website.